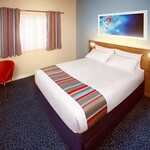 Whatever your budget London has got the perfect accommodation for all your needs. 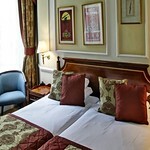 Home to some of the best places to stay you can easily find the right place to rest those weary heads. Look below for our choice of accommodation types in London, browse through and see what catches your eye! London Bank hotel with en-suite facilities. Perfect for both large or small. Typical family room: King-sized bed with cosy duvet Separate Sofa Bed, TV. 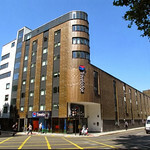 London Central Euston Travelodge has everything you need for a good night's sleep, offering great value rooms close to the British Library, within walking distance of Regent's Park. 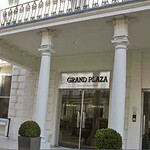 London is a city that never sleeps doesn’t mean you can't find a relaxing accommodation base. 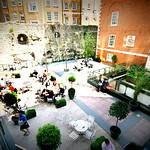 From plush hotels, spa hotels, guesthouse, B&B's, to self catering cottages London has it all. But, if you fancy something a little different and interesting in London then there's a selection of unique camping and caravan parks made for fun and affordable holidays in London. 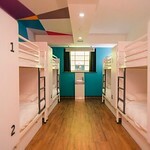 For a much cheaper option try one of the city's many hostels. For more there's a selection of 18th-century town houses that have the feel of a country home. All our choice of accommodation types offers good service, central location, clean rooms and modern amenities. Whether you are planning for a short-break, weekend or a night out we have got the best deals in London. There's a huge range of mid-range hotels and self catering options right in the centre of the city. Don't worry our selection of hen friendly accommodation is just minutes away from the bars, clubs, pubs, restaurants and shops. We've combined the best of London's places to stay on your hen party, all you need is pre-book to avoid any last minute hassles. Give us a call or write to us and our hen experts will help you plan the perfect hen party in London.! Do not forget that we have the transfer deals and discounted group rates too.